Whilst 2014 is coming to an end and 2015 is in the mist, I think most of us have an habit of reflecting on life, the good and the bad of 2014, our New Year resolutions that we can never keep and making sure 2014 goes out with a bang. Don't pretend your not secretly looking forward to drinking a few shots come New Years Eve, or even at those Christmas parties. I recently came across a post on Fee from Makeup Savvy's blog of some of her favourites of 2014 and I thought I'd also take part, and share with you some of my most reached for makeup, films and tv series I've enjoyed watching. I can't count how many times I've mentioned on A British Sparkle just how out of hand my book hoarding has gotten, and still, till this day, I have a loads to read, and yes, I'm expecting quite a few for Christmas. 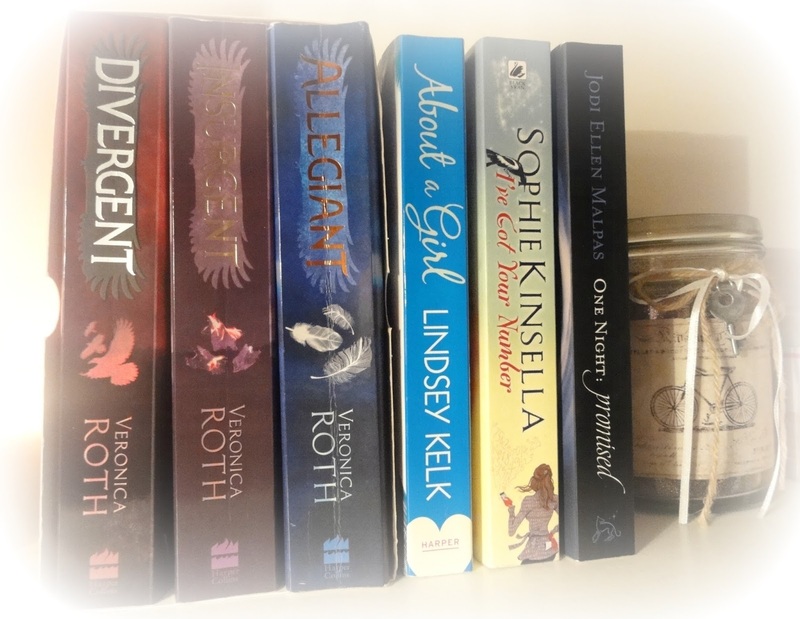 This year I've really enjoyed reading lots of new books and introducing new authors into my reading, Sophie Kinsella, Jodi Ellen Malpas and Lindsey Kelk all authors who are so, so talented. Divergent as been a hit via many readers, and I've enjoyed both the books and the film. One of the reasons I'm a huge fantasy fanatic is due to great reads like this, opening lots of doors to a world that is completely unknown, plus Theo (Four) is a hottie. Lindsey Kelk is a beautiful writer, her book About A Girl is so, so witty and the fact Lindsey Kelk is a fellow blogger it really shows in the book with some of the lines wrote. I only finished reading About a Girl yesterday and it's amongst my favourites. I'm now on What a Girl Wants - the sequel. I can't even express how much I'm in love with Sophie Kinsella. I think she's possibly done the best chick lit books I've ever read. I loved I've got your number so much. I've only read this book from her, and quickly picked up 2 more of her stand alone books before getting the remaining 3 for Christmas. If you loved Fifty Shades of Grey, you'll One Night: Promised, it's very similar yet so very different. I really enjoyed reading this, only picking it up on a whim and I'm so glad I did. The second was recently released to and I quickly picked that up, it's waiting on my book shelf for me. Not sure how most people will feel about this, but I love watching Emmerdale, I'm a huge fan of this particular soap and have been watching it since I was a little girl. I hate, hate, hate missing an episode and always have ITV Player on if I do, which is hardly ever. The story lines have been great this year. I don't believe they get as much recognition from soap awards as they should. 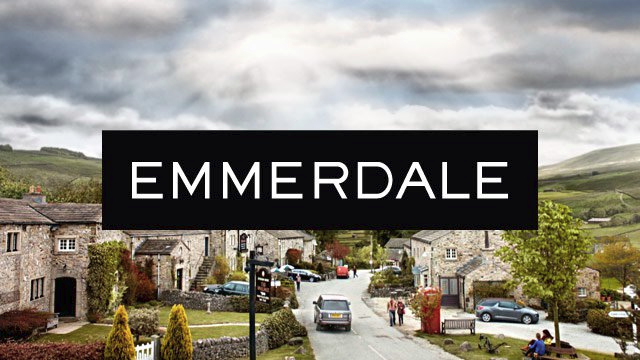 I'd love to be in Emmerdale! Above are various items I've reached for again and again through out the year, so much so my Urban Decay lipstick is no more, I need to pick up again because I love it. I'm a huge palette fanatic, probably my most favourite makeup item of all makeup items. Makeup Revolution have gone to town on palettes since they released at the beginning of this year, and I've not just loved their eyeshadow palettes but also their Ultra Blush palettes. I've also loved Urban Decay and Stila. The two Rimmel mascaras have been my eyelash saviors and I've enjoyed layering them together. When ever I flicked over the telly and saw The Vampire Diaries I instantly flicked over, it was no interest of me, until recently actually, about 9 months ago to be exact. I started watching it online and just thought wow, I soon watched all the series and even went over my internet allowance, opps! 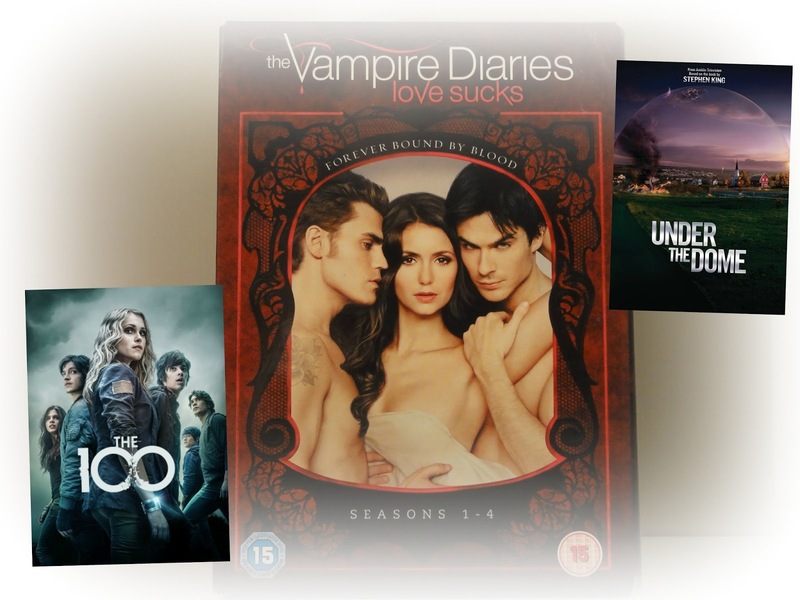 I just love it and totally addicted, I got the boxset as soon as I'd watched them all and put Season 5 on my wishlist. Season 6 is now on a break, boo! I actually love it more than Twilight. The 100 and Under the Dome are completely amazing and I can't recommend them enough. They just have you puzzled and your mind ticking about what will happen next. I know both are a book series, I've not read the books and won't... I quite like trying to work out the mystery. 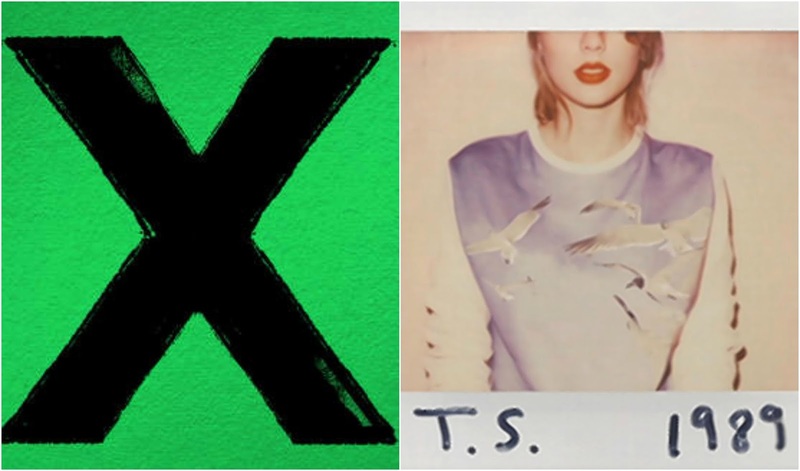 I can't express to you how much I've enjoyed listening to Ed Sheeran and Taylor Swift this year. Every hit they have released has reached the charts and been number 1 and I've just loved singing along to their songs and probably doing some terrible dancing around the front room with my 3 year old. I really want to see Ed in concert now! 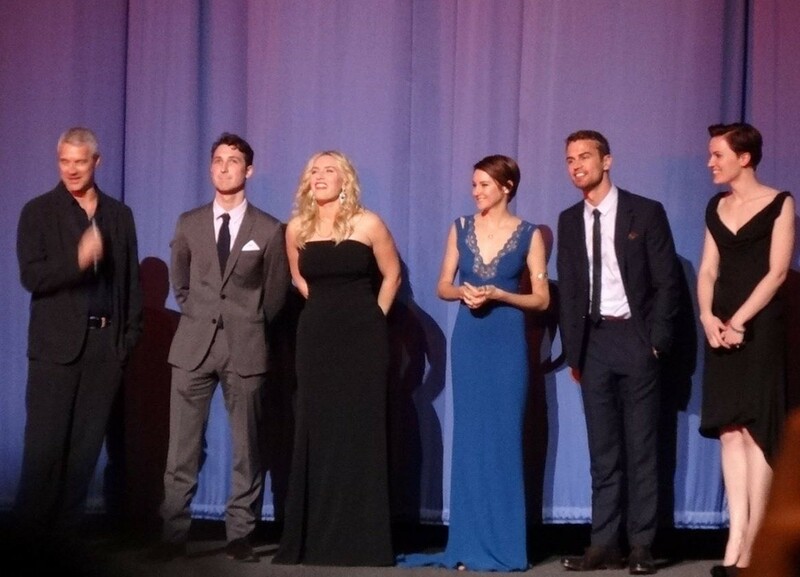 My highlight of the year was going to the Divergent Premier. This is probably one of those once in a life time opportunities that I was so, so very grateful to be apart of. Seeing some incredible talent, old and new was amazing. It's something I'll never forget. In the same week I attended a Makeup Launch, went to Harry Potter Studio's and was a typical tourist round London. But Divergent, my favourite film of the year, loving the books and then attending the film premier... a moment I thought only my dreams would ever enjoy! So there you go, my favourites and highlights of 2014. I hope you've enjoyed reading this post which is a lot different to what I usually write. What's been your highlight? Oh and you have amazing makeup palettes!! This is such a great post, I love reflecting on the year I've had! I also love Sophie Kinsella her books are amazing!! 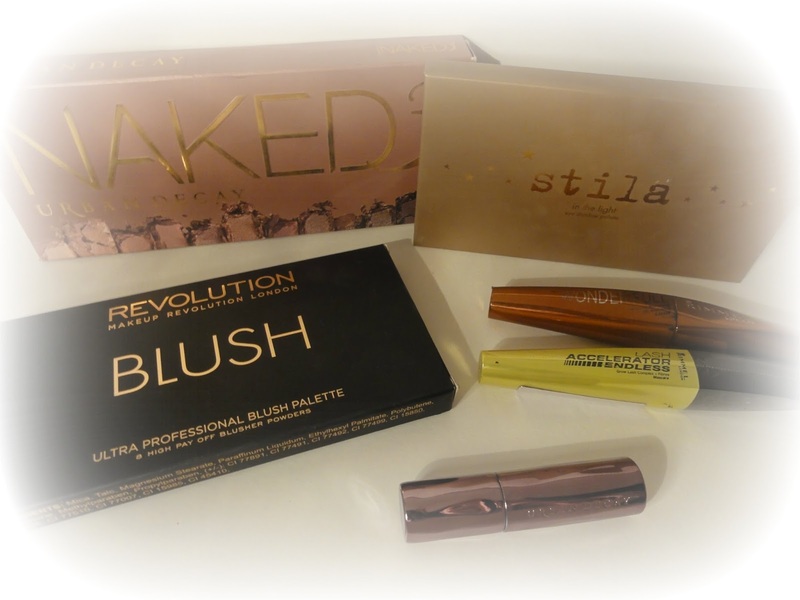 It's definitely been the year for Makeup Revolution! I really liked Under The Dome, I can't believe I have to wait so long for a new episode!